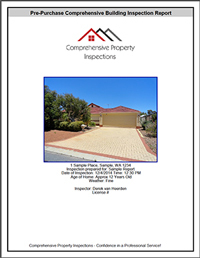 Comprehensive Property Inspections is a pre-purchase building inspection company that is located in Perth, Western Australia. We conduct Pre Purchase Building inspections in Perth metro and surrounds. Our customers rely on our Expertise, and we take this responsibility seriously. 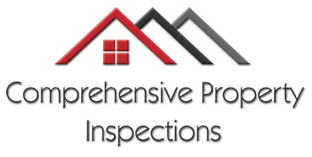 Comprehensive Property Inspections is owned and operated by Derek van Heerden who is a multi-award winning builder with 20 years’ experience in home building and structural integrity. Derek is a registered builder (BRN: 101339). Derek also has a Diploma of Building and Construction (CPC50210) and is an accredited House safe Pre-Purchase Building inspector (HS / 0374). Our philosophy at Comprehensive Property Inspections is to inspect each home with the utmost care, to be thorough, and to explain our findings clearly to each client. Comprehensive Property Inspections (CPI) offers a professional standard of accuracy with the focus being on providing you with meaningful results. We provide a fast, reliable service and are always available to answer any questions you may have, whether before and after the inspection. Choosing the right person to inspect the property! In Western Australia, there are currently no licensing requirements or regulations for building inspectors doing pre-purchase building inspections. This means that there is the potential for any person of any background to own and operate a pre-purchase building inspection service. Caution should be taken when nominating a building inspector; you should choose an inspector who at least is a registered builder. At no time will employees or subcontractors be used to undertake the actual building inspection. It is the business owner’s license and reputation on the line, making it in the interest of Comprehensive Property Inspections to ensure you are completely satisfied with your report. You can rest assured that we are fully licensed and carry full professional indemnity insurance. At Comprehensive Property Inspections we realize that the purchase of a home is probably the largest and most exciting investment you will ever make. It is difficult to remove any emotional attachment you may have for a home due to its location, style, setting, etc. A Pre-Purchase Building Inspection is a non-invasive, visual property inspection performed prior to finalising a sale and is usually a condition of your purchase contract. A Pre-Purchase Building Inspection identifies building faults and issues that affect your property and presents you with a detailed condition report so that your decision to buy the property is a fully informed one. The Pre-Purchase Building Inspection and Report are essential to providing you with peace of mind.